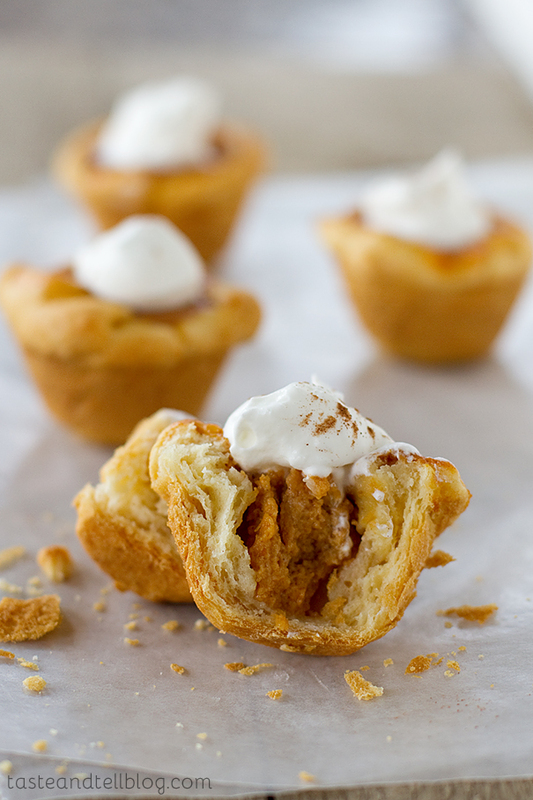 These mini pumpkin pies are the perfect holiday recipe – serve them as a sweet appetizer or as a sweet ending to a holiday meal. When it comes to Thanksgiving, I love the turkey. The stuffing, the cranberry salad, the festive green beans. I almost always eat too much. But let’s face it – the dessert is the most fun. The thing about having sixty-two different pies, though, (ok, I’m exaggerating on the number just a little bit), is that it’s hard to sample every single one of them. What we all usually end up doing is taking a little tiny sliver of each dessert so that we can make it through, trying as many as we can before we are so stuffed that we can’t move. It works, but it’s not pretty. Do you know what is pretty? Two bites, no mess. It really doesn’t get any better, does it? I’m always a sucker for things in individual servings, and these pies are no exception. 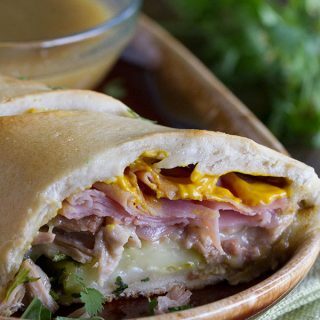 Filled with that familiar pumpkin pie flavor, these are made even easier by making the crust from Pillsbury crescent rolls. I know I just talked about my favorite pie crust recipe. But if you are still intimidated, this is a great shortcut to take. They bake up buttery and flaky, and they completely compliment the sweet pumpkin filling. 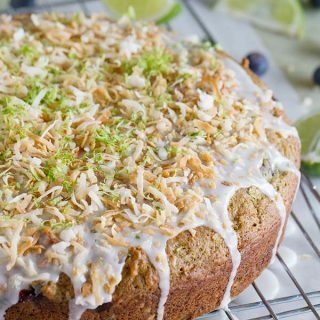 Top it all off with a dollop of whipped cream, and I think I have myself a new holiday tradition! Wanna see how easy they are to make? You start off by making your pie filling. 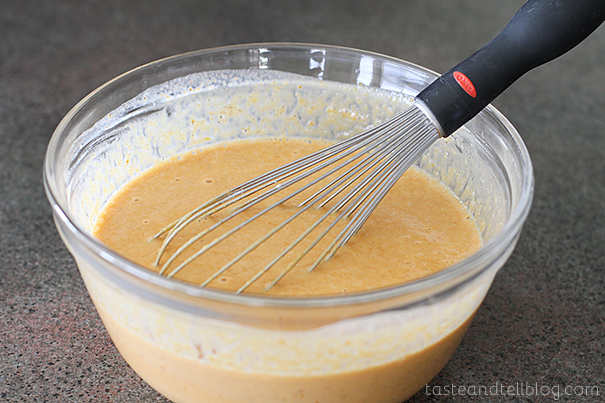 This is pretty basic – pumpkin puree, evaporated milk, sugar, an egg, and pumpkin pie spice. Open one can of crescent rolls at a time, and lay them out on a work surface. Pinch together all of the diagonal seams. 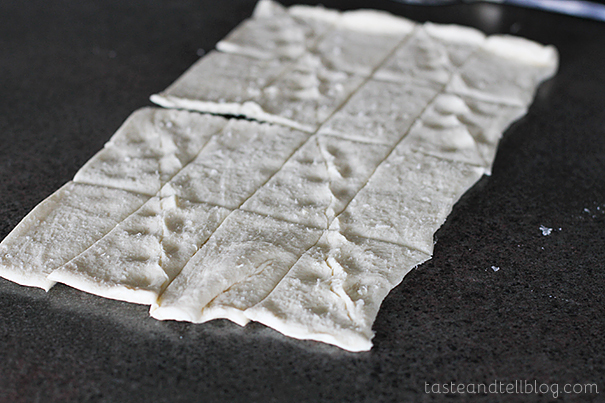 Use a pizza cutter to cut the dough into 16 squares. Take each square and form a cup in a mini muffin pan. 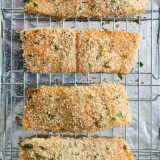 These are pretty forgiving – if the edges are too long, just tuck them in and press. Bake them up until the crescents are golden brown and the filling has just set. Let them cool and then serve them with whipped cream. And try not to pop 8 of them directly into your mouth. 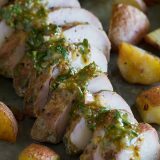 Because you are going to want to!! Combine the pumpkin puree, evaporated milk, sugar, egg and pumpkin pie spice in a medium bowl. Mix well. Unroll one can of the crescent rolls into a rectangle. Pinch the diagonal seams together. Using a pizza cutter, cut the rectangle into 16 squares. Press each of the squares into an ungreased mini muffin tin, folding the edges over as needed to make a cup. Fill each of the cups with the pumpkin mixture. Transfer to the oven and bake until the cups are golden brown and the filling is set, about 20 minutes. Let cool for 10 minutes. Yes, I’ll have 2 or 3 please. 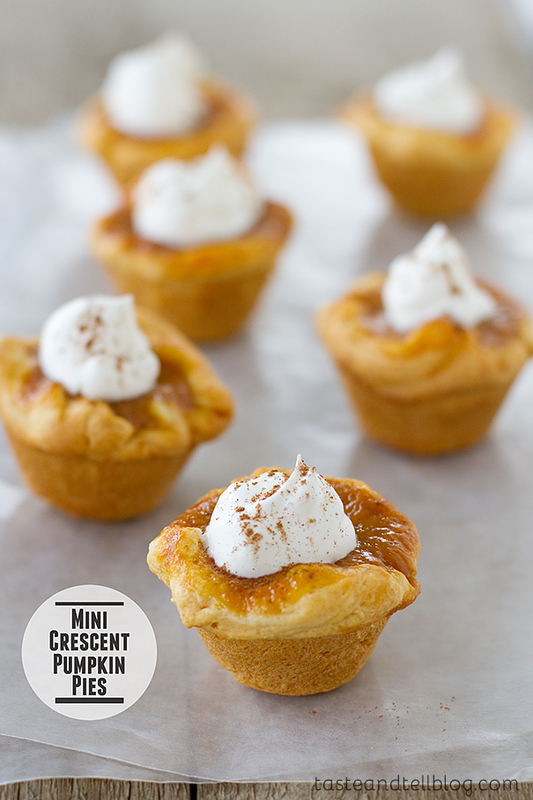 I’ve tried one of these mini pumpkin pies before. Josh bought some for the bank when he was managing the one near us last year and they were so cute and yummy! I bet these are even better though! So cute! The biggest problem with mini things (no oxymoron intended) is that it’s way too easy to just pop a zillion of them into your mouth without even thinking about it. Especially when they look as good as these do! 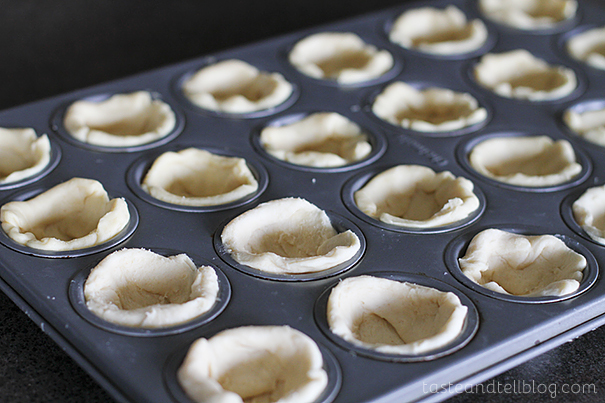 I’ve made mini pies before, but not with crescent roll dough! I wouldn’t have thought of that. They look soo good! We always have too much dessert also, so I’m thinking there really does need to be something mini this year!! Love this idea! How cute! And I love that there is not any dough to make and roll out! Will the mini pumpkin pies freeze for make ahead moments? I haven’t tried freezing them, but I’m guessing they would freeze well. If you do try, please let me know! 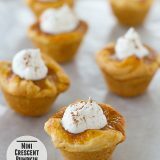 I love mini desserts and these pies are adorable! 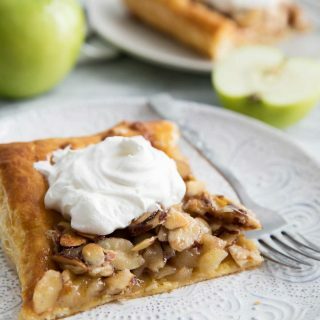 What a great idea to make your pie easier to portion! Those flaky crescent rolls look like the perfect crust! 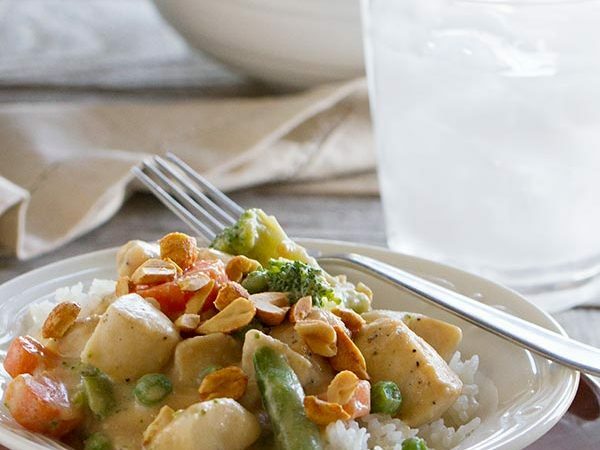 I so want to make these, but of course have a question…if I make day ahead should I store in fridge or room temp? 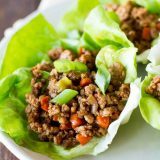 I stored them in the refrigerator and they were still great the next day! I made these with my 3 year old son. We had so much fun & they were so easy. Very delicious. These are so adorable 🙂 I wouldn’t be able to stop at just one or even five for that matter 😉 thanks for the recipe!! These were a huge hit at a party last night! They were easy and I made them exactly as the recipe said, except with double the spices. I topped them with reddi-whip from the can, which was okay except that it deflated after a couple hours, hehe… So in the future if they’re going to sit out a while, I might use a whipped frosting instead, or leave the whipped cream can nearby for people to add themselves. I’m so glad they worked out well for you!! 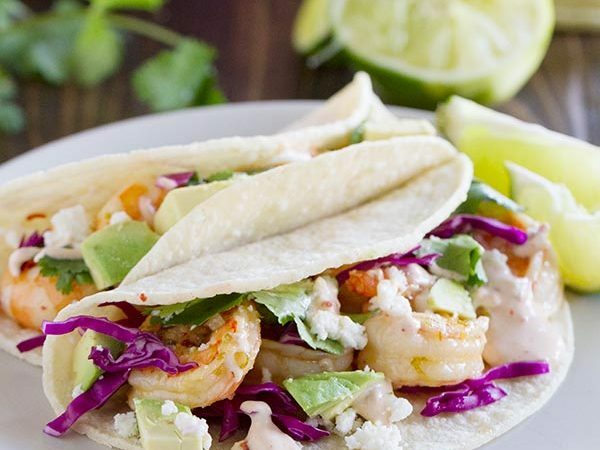 Im going to make these for a party in one of my classes, but my mom wants me to cut the recipe in half but i dont know how many it makes in the first place? 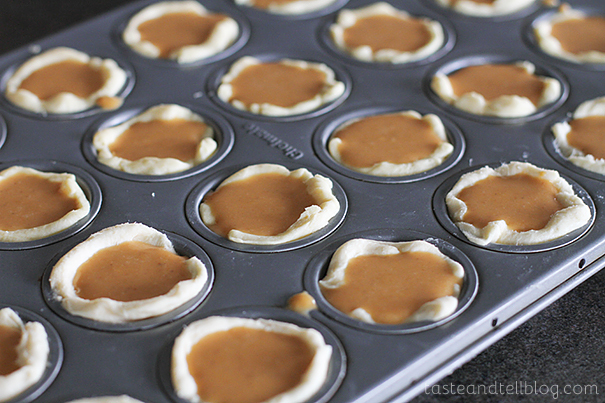 The full recipe makes 48 mini pies. I hope you love them! 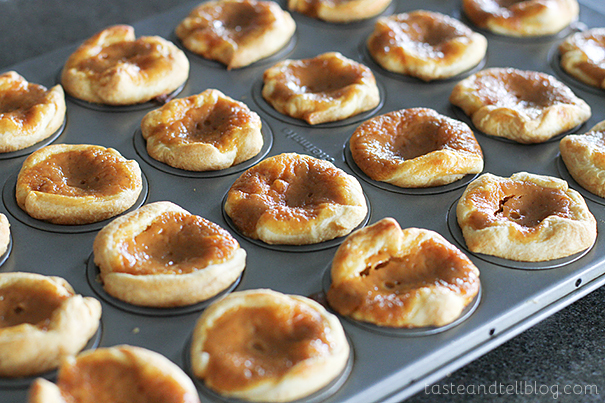 These mini pies are SO adorable! I love them. 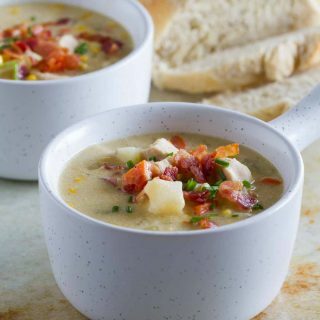 Such a simple and quick recipe, too. Everything about these is perfect. What’s sprinkled on top? I want to make these for an office party!! Thanks! These are so yummy!! Thank you! muito boa receita de Mini Crescent, parecem saborosos , agora é só fazer a receita e confirmar o sabor.Te-los no lanche da tarde é uma maravilha.